Ever since the highest court in the country changed from its title of the House of Lords to The Supreme Court, back in October 2009, it would seem that there has been a concerted effort to modernise our judicial system from the top down. This could certainly be said of the fact that on 16 May 2011, Supreme Court judgments were televised for the first time through Sky News. Is this merely copying the United States of America, with their propensity to glamorise and televise their judicial system, or is there a genuine requirement for the hearings of the Supreme Court to be aired to the general population as a whole? This is an issue we will attempt to address within this article. If your immediate concern is that there may be times where streaming court hearings will not be in the public interest, we are assured that the Law Lords will have full discretion to interrupt broadcasts when they deem fit. 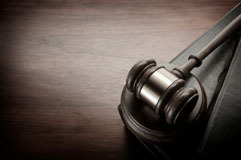 The Chief Executive of the Supreme Court, Jenny Rowe, has said, “We hope that making available live video of the Court’s hearings and judgments will help the legal profession and inspire and educate the next generation.” Generally, it seems that this move attempts to make the Court appear more transparent and accessible to the public. One of the points made by Jenny Rowe above is especially important to people looking to study law, and this is pertinent to many members of The Institute of Legal Secretaries and PAs. Supreme Court judgments will be highly relevant to many of the single course subjects being studied, as well as the full Legal Secretaries Diploma, and it is likely to prove to be a real boon to actually watch the proceedings of the Court as they unfold before your very eyes. It is all very well reading through pages of case notes, but seeing the Court arriving at its judgment live over the internet will undoubtedly prove to be a far more exciting and riveting activity. Most law students are strongly encouraged to attend a local court in order to gain a feel and appreciation for the way in which our judicial system works. Having done this myself, I recall how it was necessary to set at least a few days aside to get the most out of this. With the televising of Supreme Court judgments, however, I can honestly say that I would have bitten someone’s hand off to be able to witness the proceedings of the highest court of the land for myself. It would prove to be especially helpful if Supreme Court judgments were archived and made easily accessible to law students in the future. Many people find that reading through pages upon pages of information on a case is extremely boring and uninspiring; information does not sink in naturally when you are plodding through endless text, and even if you are the best note taker in the world, it will still be difficult to pick up on all pertinent points of a decision. This is definitely where the televising of hearings will prove to be invaluable. The law student will feel tremendously more inspired and excited through watching the proceedings of the Court for themselves. At present, only the Supreme Court is permitted to televise hearings and judgments, as there is a ban to cover all courts below. However, there are ongoing discussions to include the Court of Appeal in this type of programme. It will be interesting to see how much further the televising of court proceedings will go; after all, courts do have a public gallery where people are usually entitled to spectate, even if they have no direct connection with the case being heard.